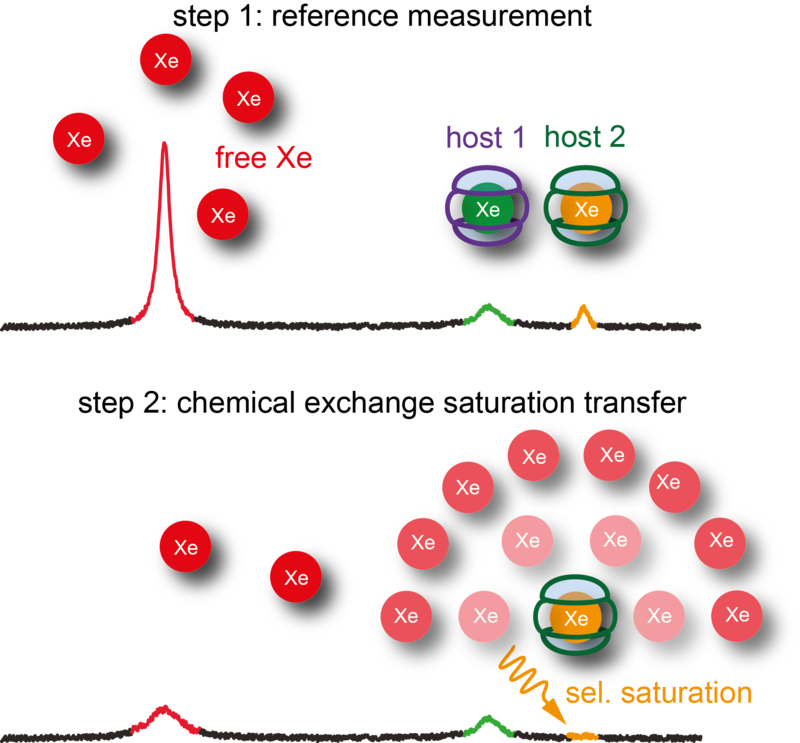 For developing sensitive xenon biosensor detection techniques, we are using an indirect detection scheme of the encapsulated xenon that takes advantage of the exchange of the noble gas between the free solution and the biosensor molecule: selective radiofrequency pulses label the biosensor magnetization component that is transferred to the intense solution peak by chemical exchange. Such detection schemes, dubbed Hyper-CEST for Chemical Exchange Saturation Transfer using hyperpolarized nuclei, give a huge sensitivity enhancement and reduce the acquisition time by several orders of magnitude. 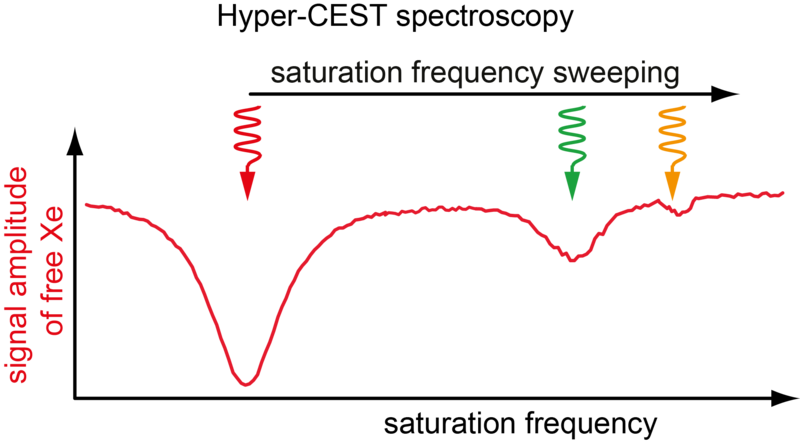 Contrast for the sensor distribution can be switched on and of via the MR pulse sequence parameters.